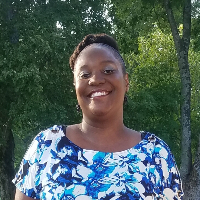 Erica is a Licensed Social Worker (Licensed in the states of Ohio (LISW-S) and Alabama (LICSW-PIP)), who has been working in a therapeutic environment with children, adults and families for the past five years. Erica uses a humanistic approach to assist clients to achieve their highest potential during difficult times in their lives. Drawing on a client's own personal strengths, Erica's goal is to empower clients achieve self actualization in order to improve their current life experience. Erica partners with clients in order to assist them in identifying resources within themselves in order to help them to cope with the challenges that they are currently facing. Erica also uses Cognitive Behavioral Therapy approaches in order to assist clients in understanding how inaccurate thoughts can disrupt their well being and assist clients in thinking better in order to feel better. Erica has successfully worked with people from a variety of backgrounds and life situations and values diversity. Erica provides a safe, judgement free therapeutic experience. Erica currently resides in Alabama and provides electronic service delivery of therapy services for people residing in Ohio and Alabama. I’ve been working with Erica for a couple of months, and I can say she has absolutely helped me. Not only did she understand what I wanted, she knew what I needed. It’s a testament to her talents as a counselor that she can connect with people so easily and quickly. She responds quickly to any message, is always on time for our appointments, and takes time to check in on me throughout the week—even when I don’t message her. Thank you, Erica!! Erica has been very helpful, considerate, and caring. She is an excellent listener and hears beyond what I am saying and feeling. She is also very professional and has a lot of great exercises, homework, and information. I am glad to be able to work with her. Would you like to write a review for Erica Innocent ? We'd appreciate if you can spend a couple of minutes to write a short review for Erica Innocent (Licensed, Independent, Social, Worker, with, Supervision, Endorsement, (LISW-S), Licensed, Independent, Certified, Social, Worker, (LICSW), with, Private, Independent, Practice, Certification, (PIP)). This review would be shared with Erica Innocent . It may also be posted in our website or in Erica Innocent 's profile but it would be anonymous and your identity would be kept completely confidential.